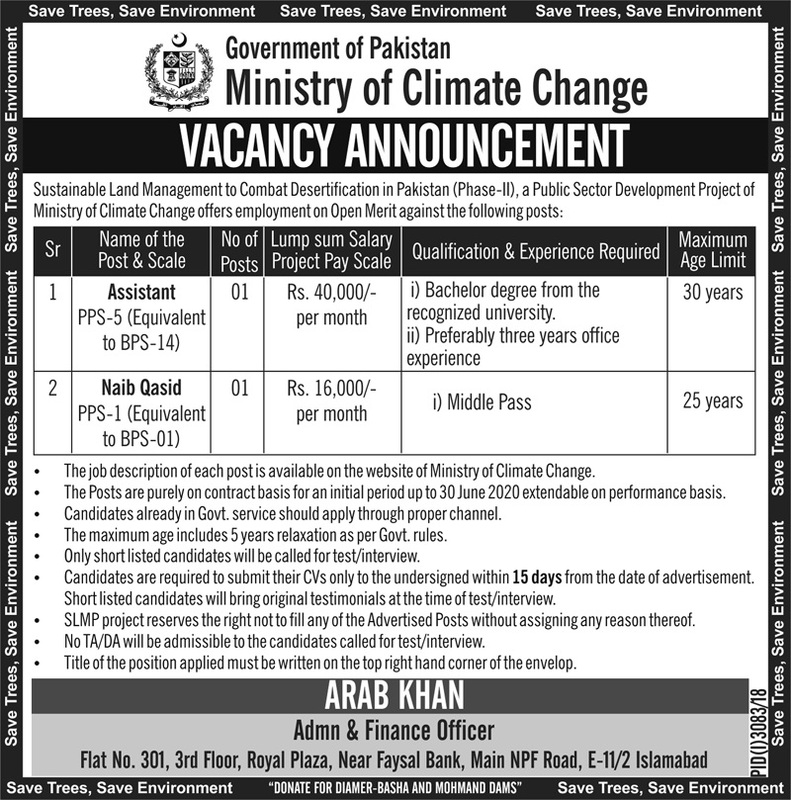 Below are the complete details of the Assistant jobs in Ministry Of Climate Change in Islamabad. Skills Required for Job: Listening, Speaking & writing & analytical & problem solving skill. Having Good Communication Skills. Good Team Working Skills. 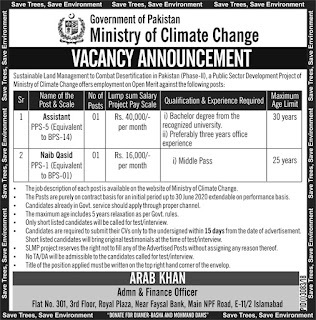 Qualification: Assistant Required at Ministry Of Climate Change Islamabad,Required Qualification: Bachelors degree holders Required Experience Must have relevant of working experience in similar job role & Interested candidates send your cv Assistant jobs in Ministry Of Climate Change Islamabad, in Pakistan published on Paperpk.com from newspaper on January 08,2019. Job seekers who are already working as Office Assistant, Accounts Assistant , Assistant , HR Assistant , Assistant Admin , Junior Assistant , Account Assistant , Safety Assistant can also apply for post of Assistant.